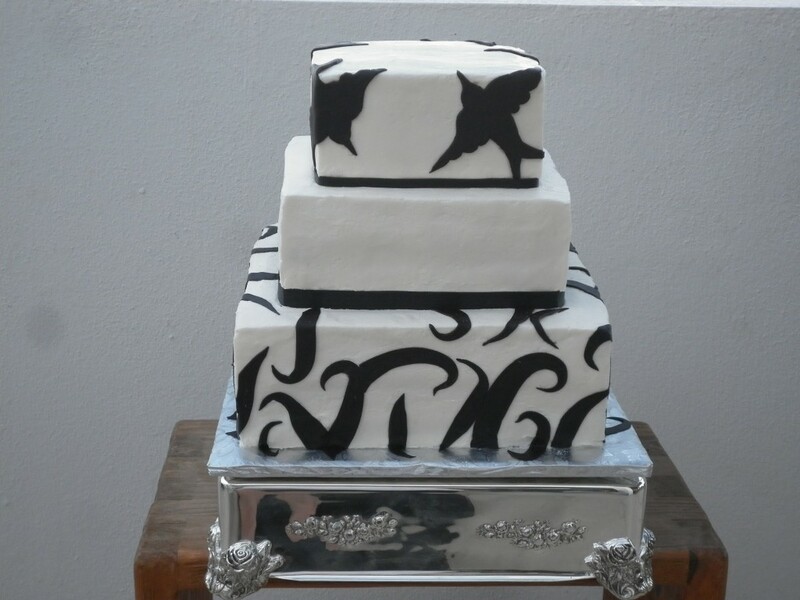 As black and white themed weddings have become more popular (even at destination wedding locations like Cabo San Lucas), we’ve upped our game when it comes to cake decor. Black and white wedding cakes have become high-end and on-trend, and we here at Cabo Flowers & Cakes are specialist for this type of cake. 1. 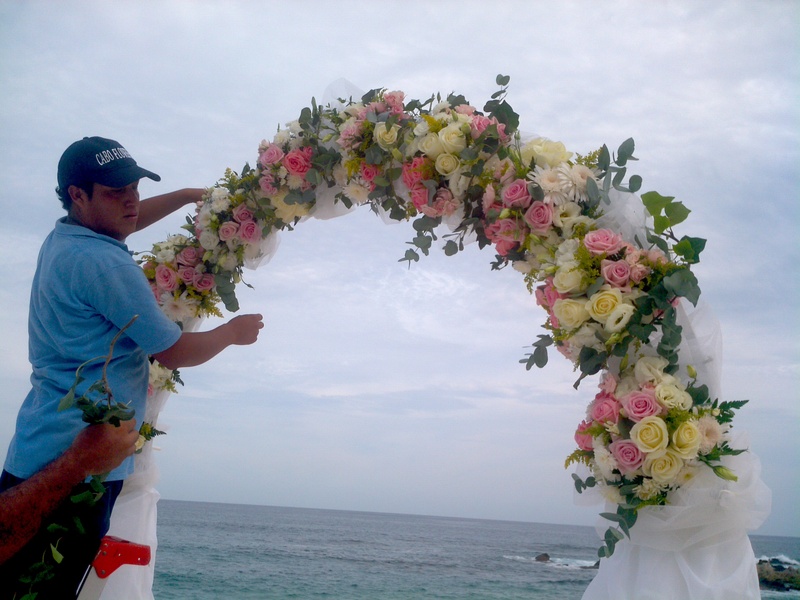 An expert cake designer, like we have on staff at Cabo Flowers & Cakes, must make sure your colors do not run! The black stays black, and the white stays white. 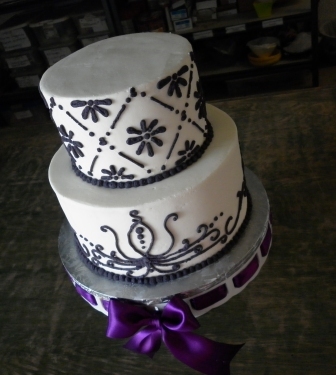 This is the #1 consideration when creating a beauty like these cakes. 2. Keep it classy! One way to do this is to have more white than black on your wedding cake. This keeps your cake amazing, not scary. 3. 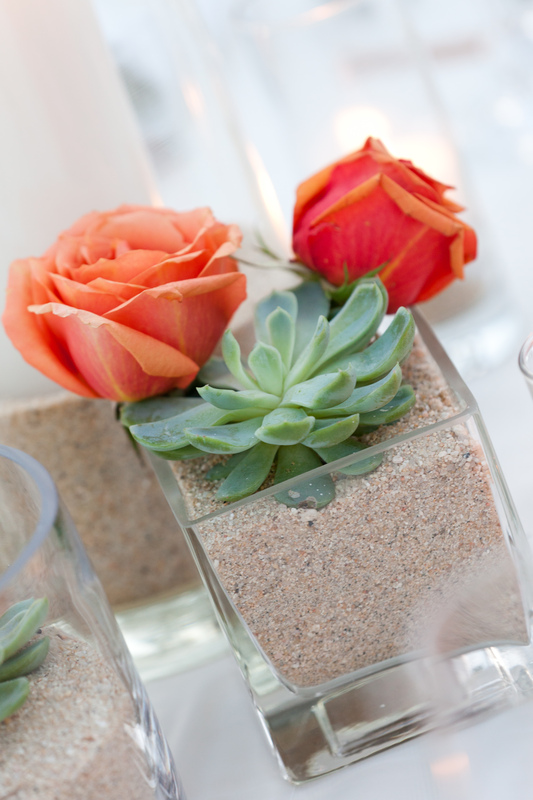 Pull in the decor from your bridal attire and/or event decor. Black polka dots or stripes on your event linens? Pull that theme into your cake decor as well. 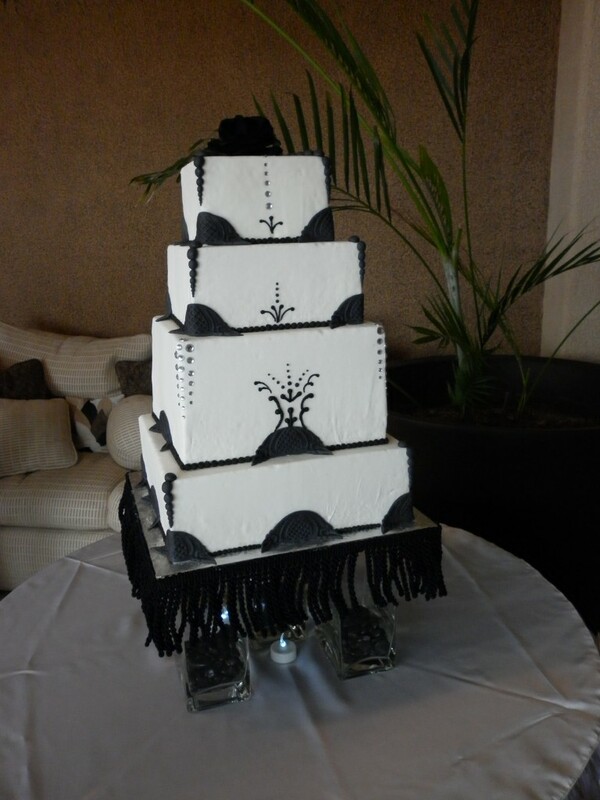 In the end, a black and white cake is a perfect way to pull together all of your black and white event decor. 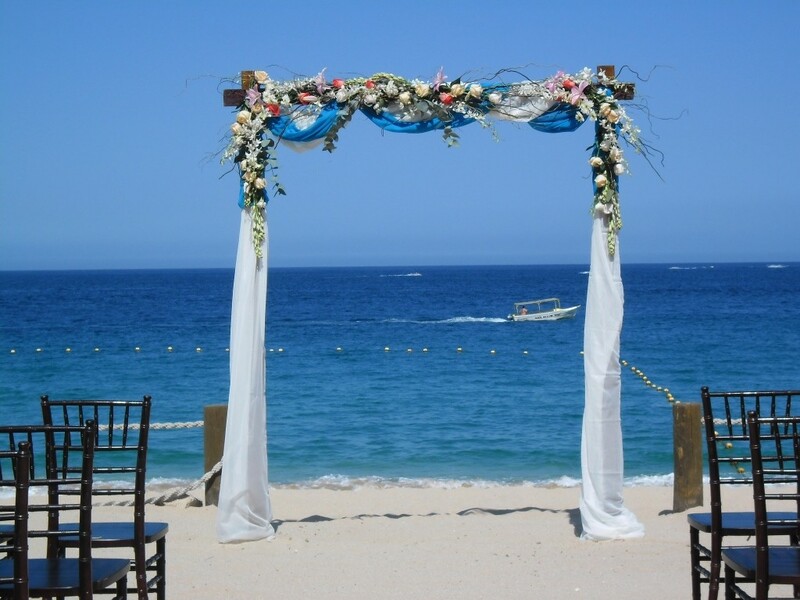 Here in Cabo, the chuppah (also sometimes called a canopy) gets all the attention. 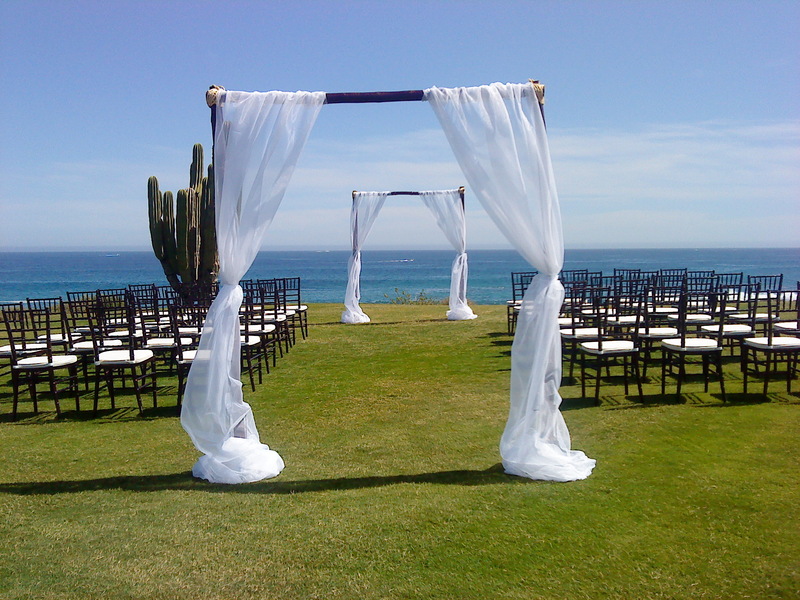 With it’s four legs, and it’s beautiful draping…most of our brides start their wedding planning intent on a structure like this. 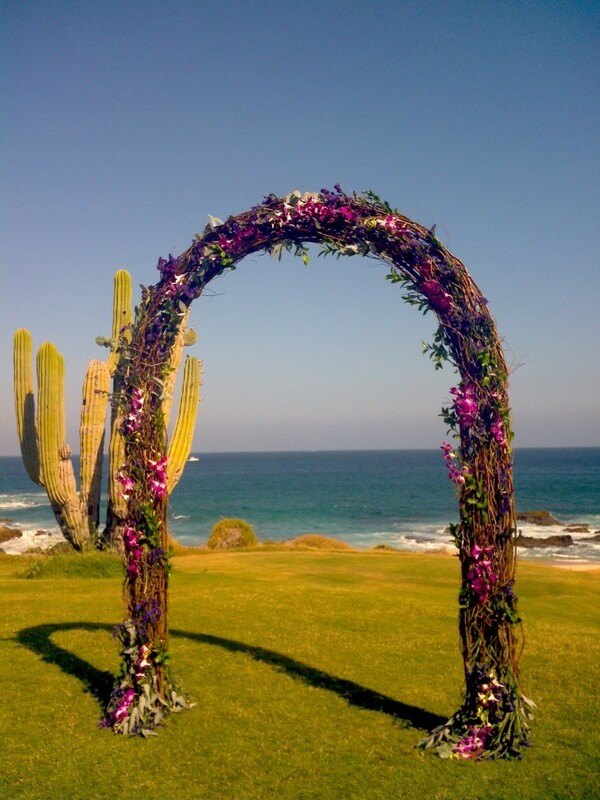 But, we wanted to let everyone know…at Cabo Flowers and Cakes, we love arches and frames too. 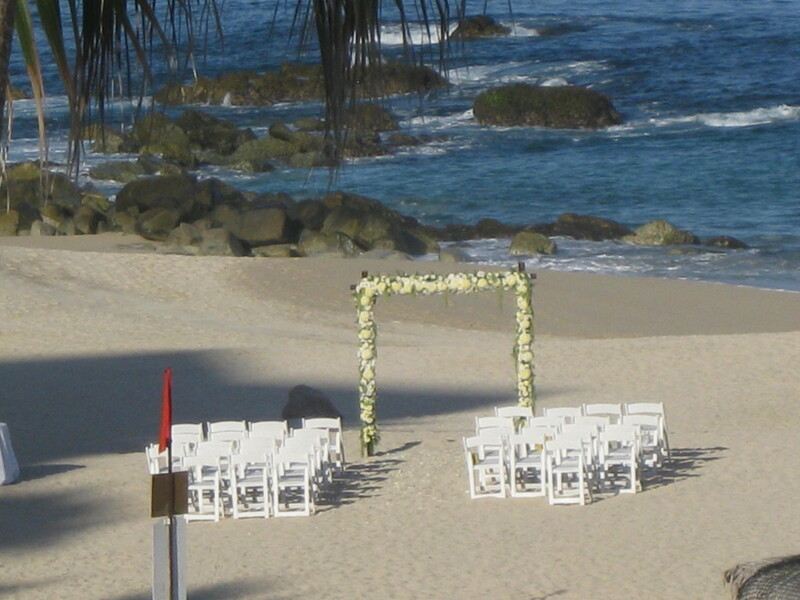 Remember, in Cabo we are famous for our Arch. 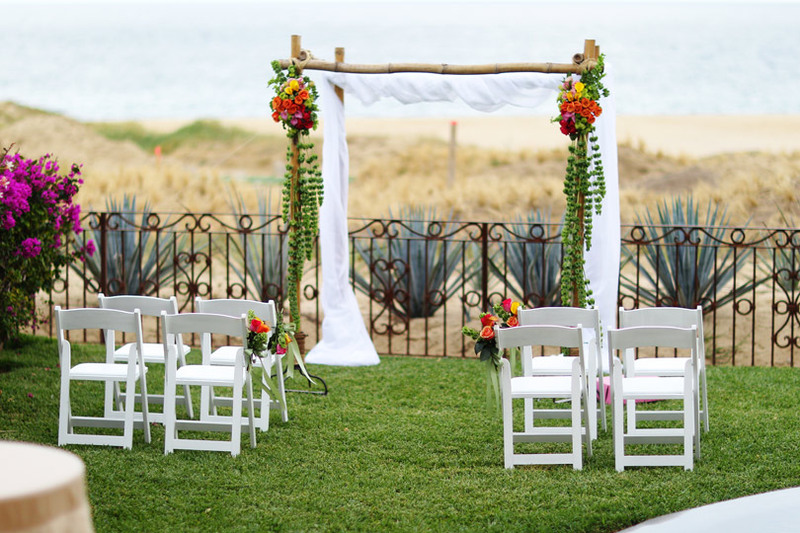 So…maybe your wedding ceremony decor should include one as well! CUPCAKES VS. CAKES – WHICH IS BEST FOR YOUR EVENT? Remember being a kid and loving the cupcakes your Mom brought to school on your birthday? People have always loved cupcakes…they’re cute, individual and easy to eat. Face it, they’re fun! 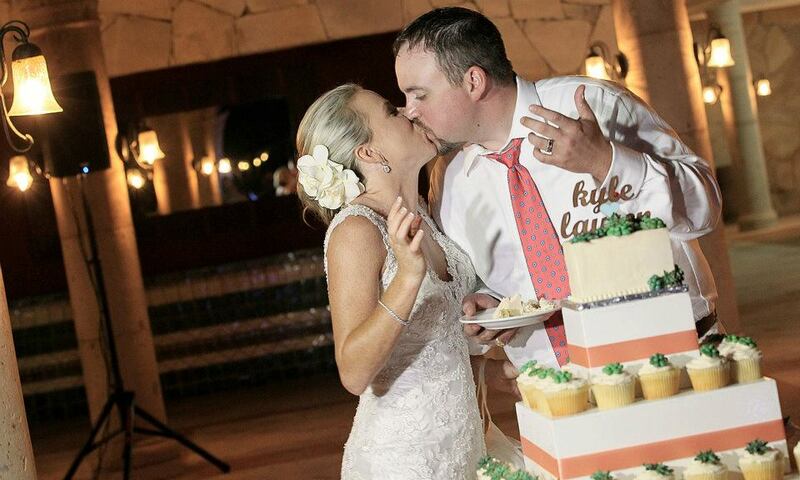 It’s no different here in Cabo…we love our cupcakes too. But cupcakes for your Cabo wedding? Cupcakes have reached a new level of popularity with many of the cupcake reality shows like “The Cupcake Girls” and “Cupcake Wars.” However, unlike in the States, here in Cabo we don’t have a speciality cupcake shop on every street corner. 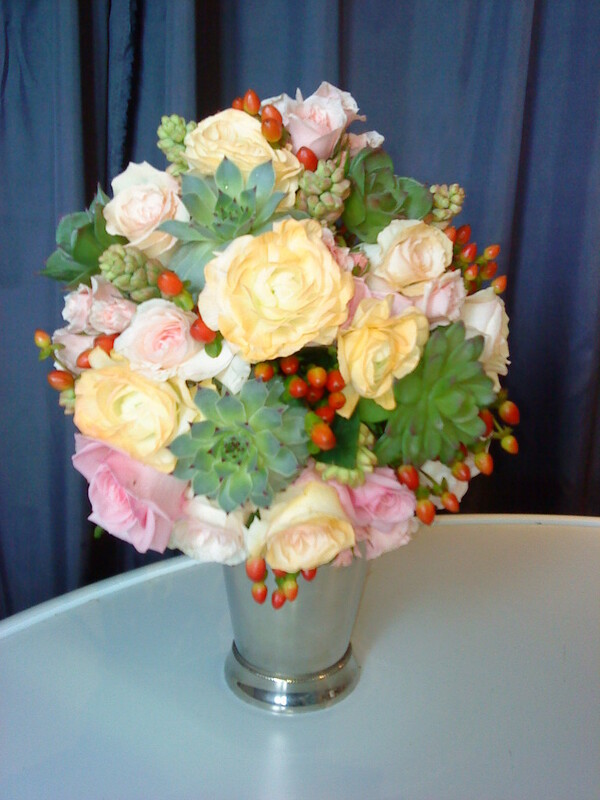 Therefore, if you want a cupcake, you need to order one from us, Cabo Flowers and Cakes. 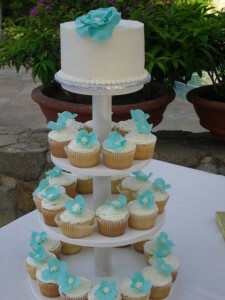 But, again, the question, cupcakes for your Cabo wedding? So, go ahead, order cupcakes for your Cabo wedding! Let us know what flavors you want (yes, you can add a filling to a cupcake as well) and we’ll help you design something that will make your guests smile (and grab a chocolate one AND a strawberry one!) Because, sometimes, with cupcakes, just one won’t do.